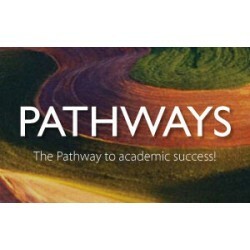 Pathways is National Geographic Learning's new five-level academic skills series that features reading & writing and listening & speaking strands to help learners develop the language skills needed to achieve academic success. Learners develop academic literacy skills through content, images and video from National Geographic. This innovative series provides learners with a pathway to success! AUTHOR: Becky Tarver Chase Features Meaningful and authentic content from National Geo.. AUTHORS: Becky Tarver Chase; Kristin L. Johannsen Features Meaningful and authentic co.. AUTHOR: Paul MacIntyre Features Meaningful and authentic content from National Geograp.. AUTHORS: Kathy Najafi; Cyndy Fettig Features Meaningful and authentic content from Nat..